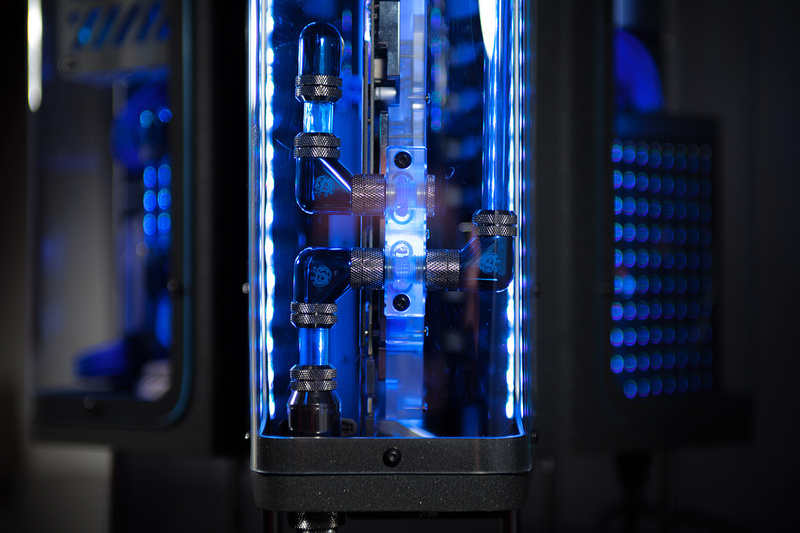 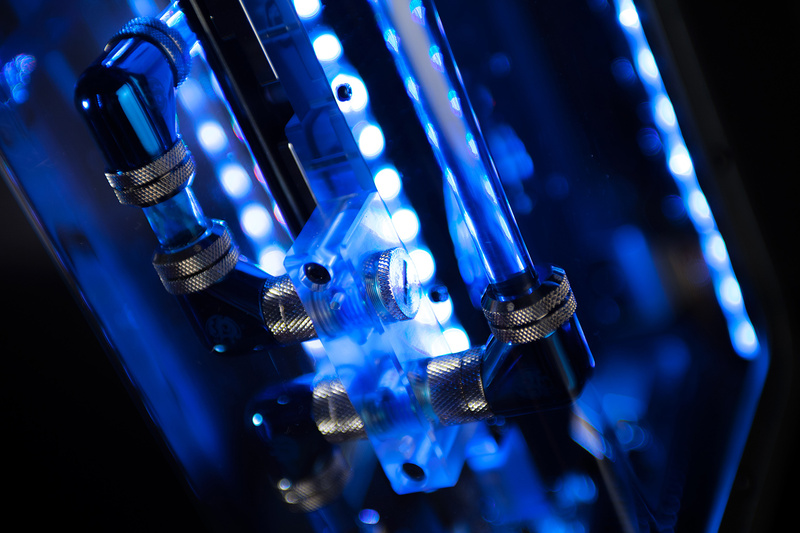 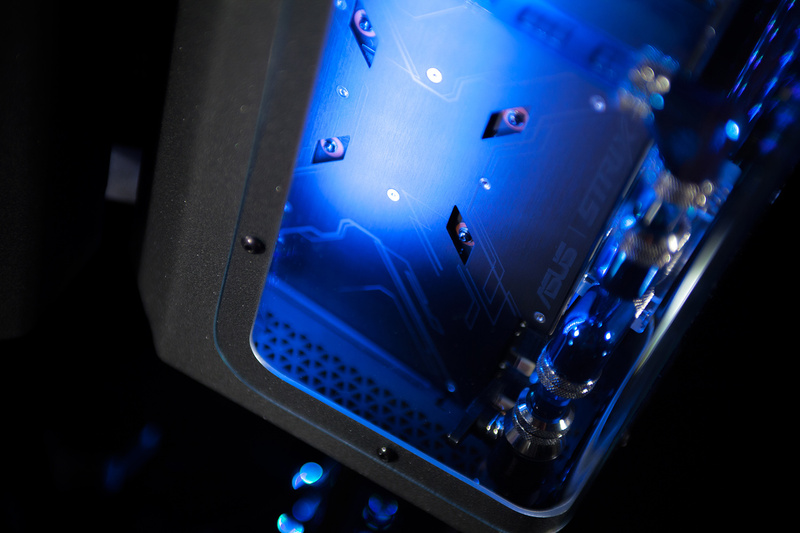 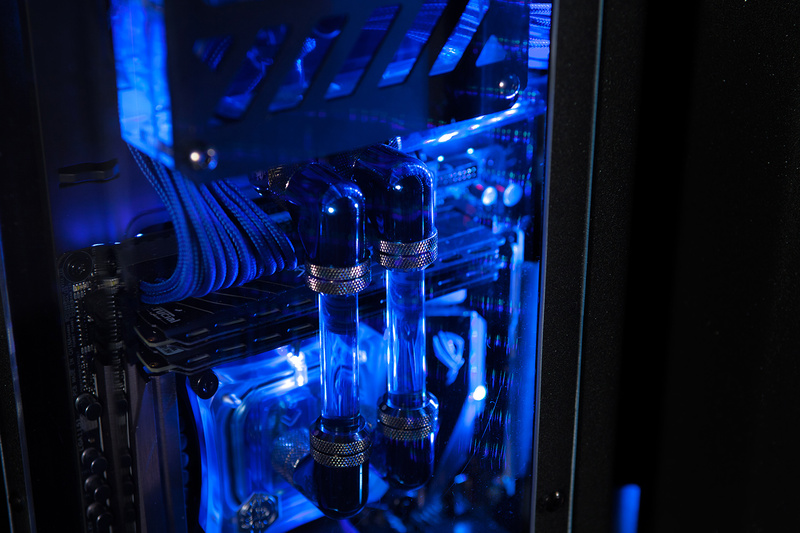 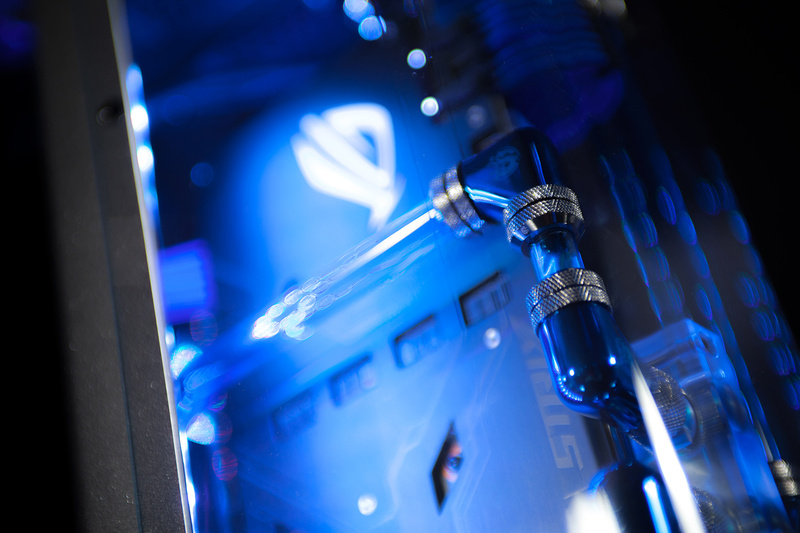 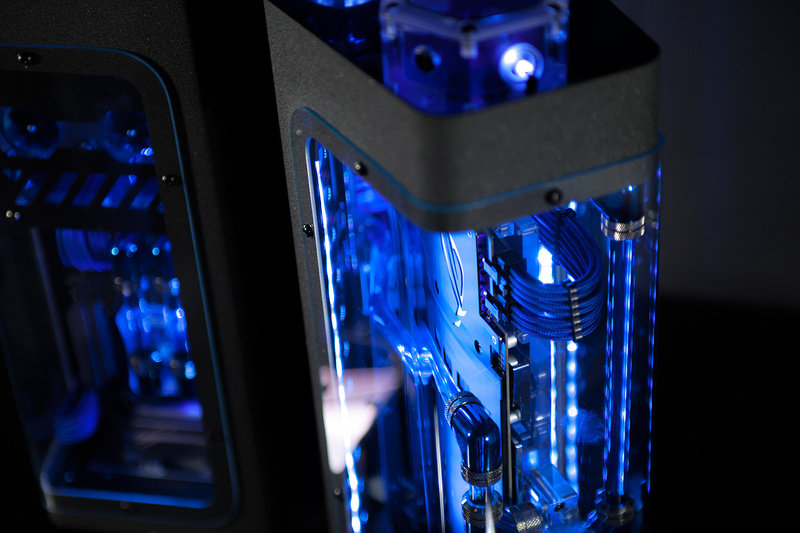 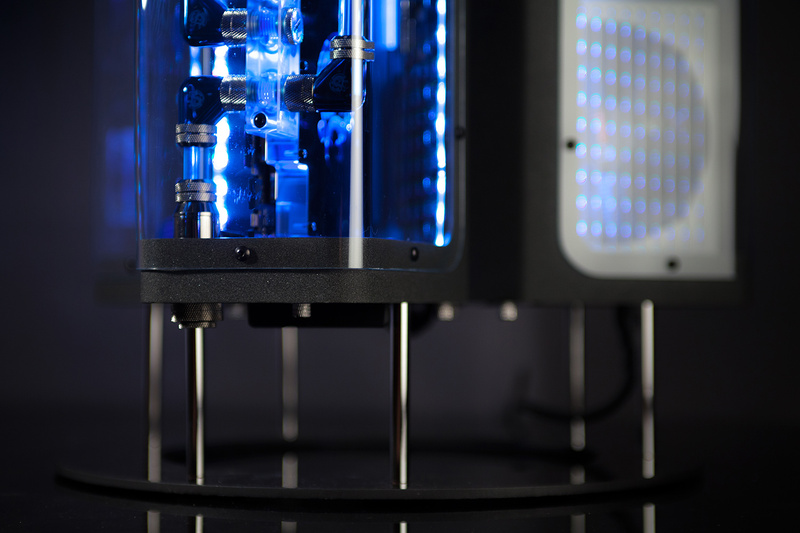 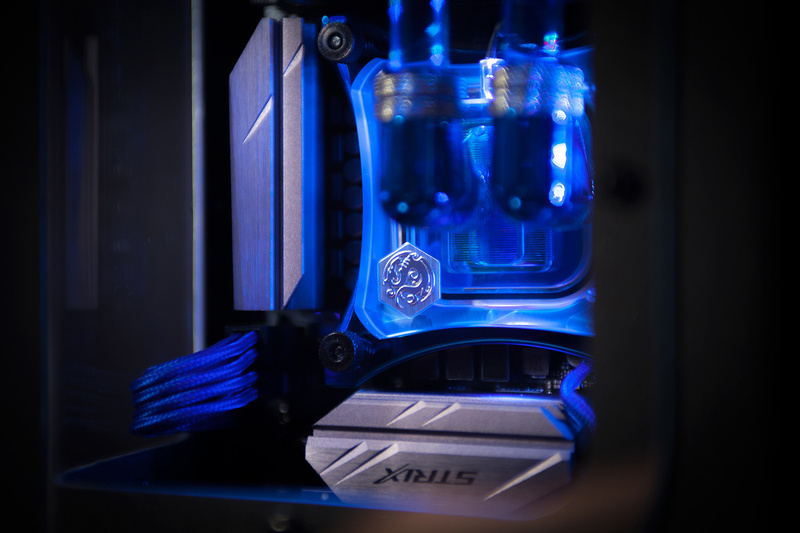 IRIS was a complete challenge to transform the very unique Deepcool Tristellar to something all new. 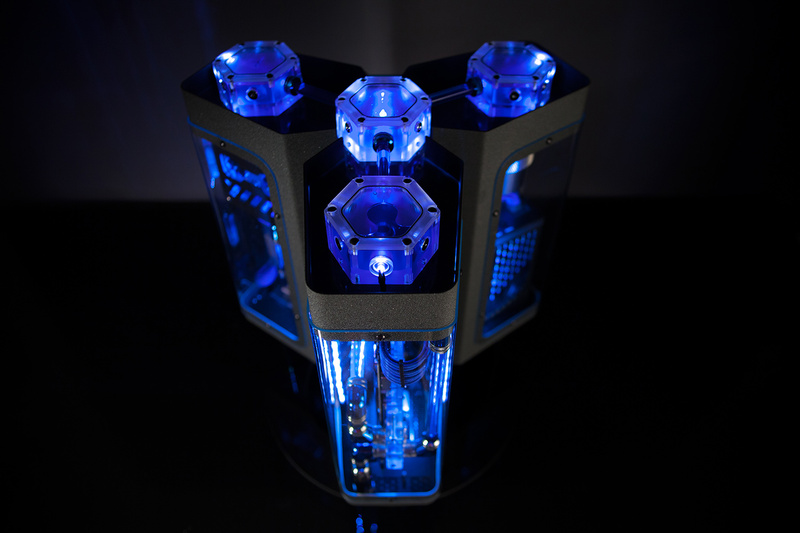 It's been rotated to a standing position, featuring a custom made top holding the Bitspower hexagon reservoirs. 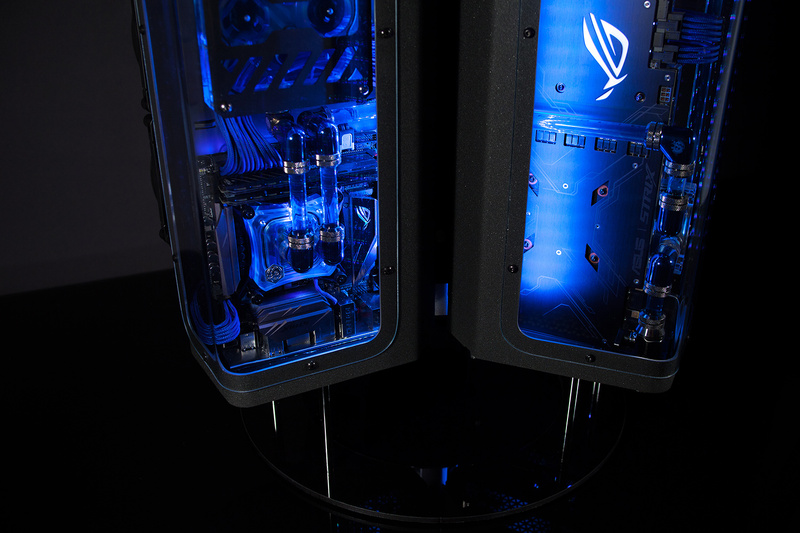 The side panels has been opened up and covered by bent acrylic glass showing the inside. 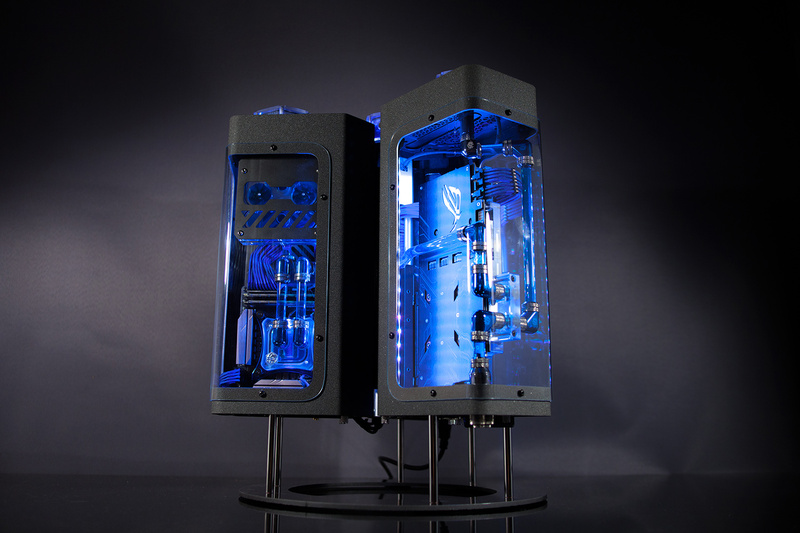 Giving this casemod almost an under water impression. 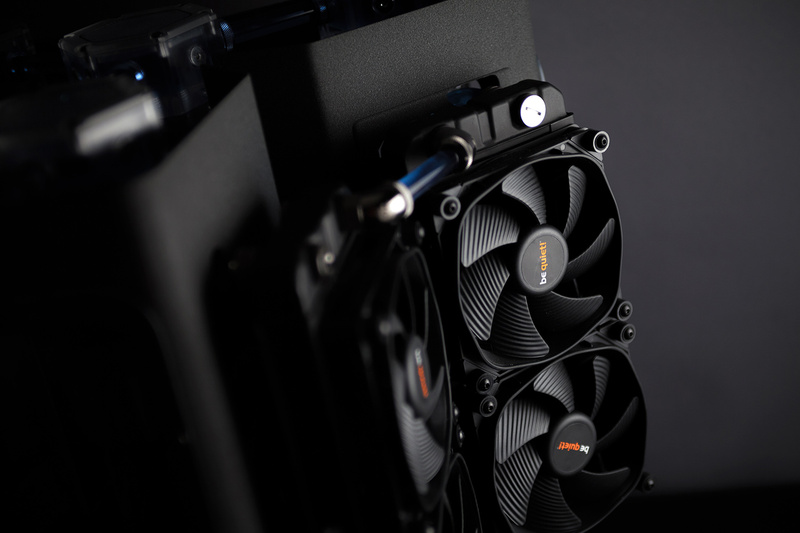 IRIS was presented to the public at Dreamhack Summer 2017 and showcased in Sweclockers booth the entire event. 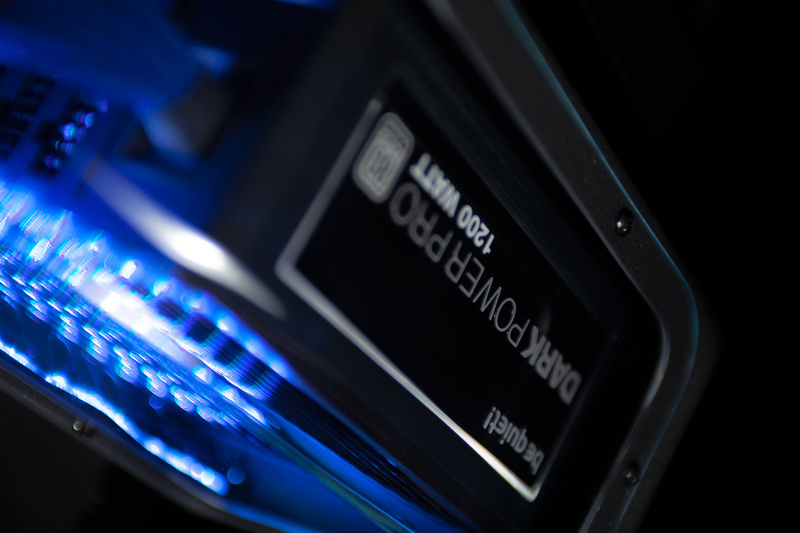 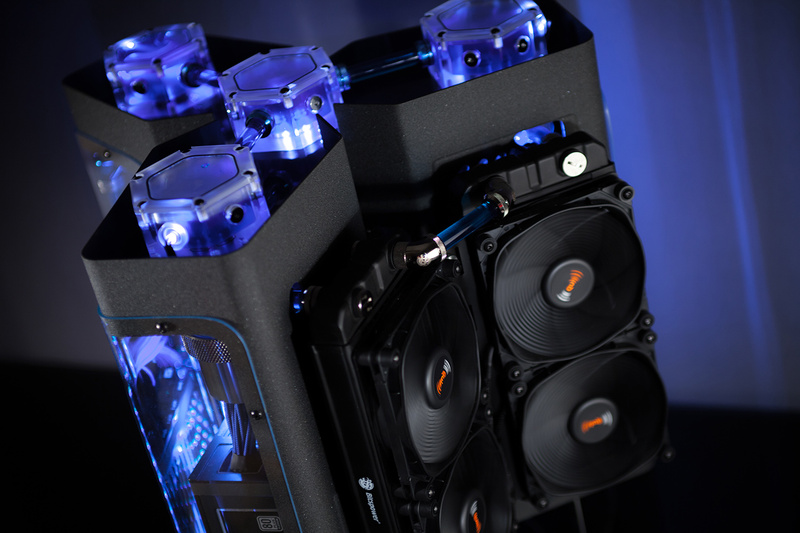 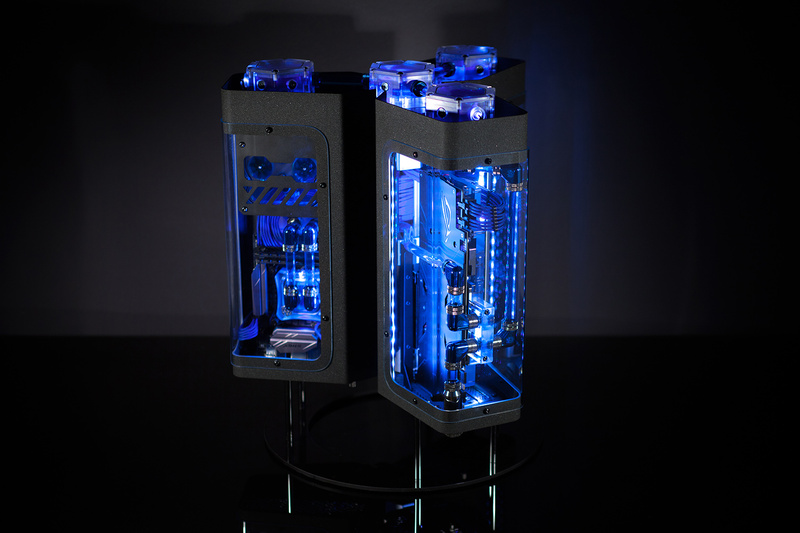 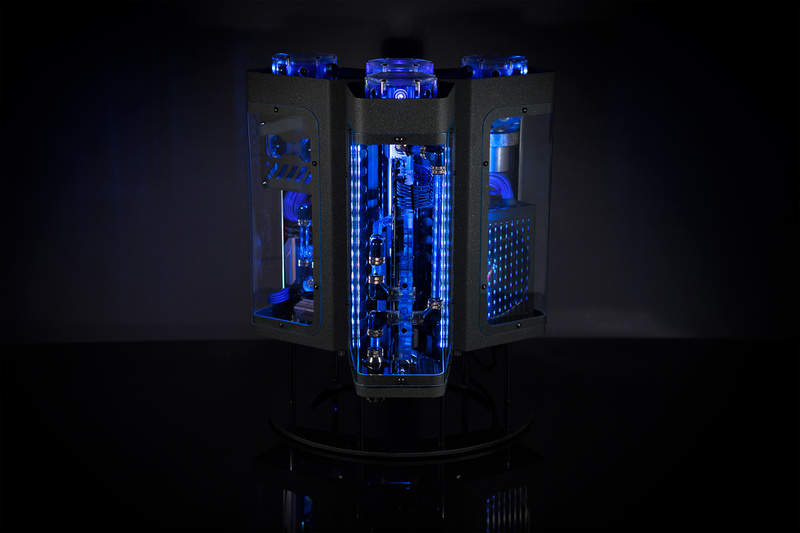 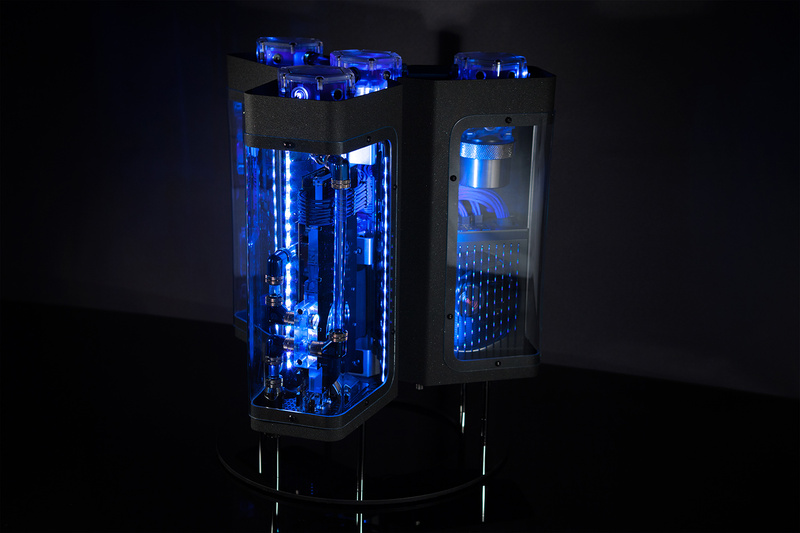 It also finished second in the Casemod Championship, Master Class.